Home › The Debate about Colour Naming in 19th Century German Philology. 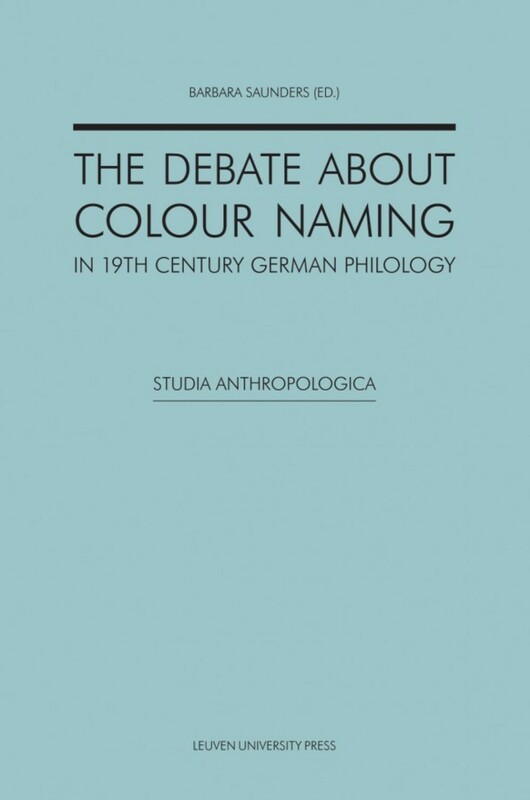 The Debate about Colour Naming in 19th Century Germon Philology is comprised of eleven years essays illustrating the intensity of interest in colour naming and categorization that arose in nineteenth century Germany. The themes of each chapter behind the ‘testing’ of the colour-naming capacities of ‘primitive people’ throughout the world, and which move towards new variants of the doctrine of ‘evolution’. This Selection of work directs itself towards the growing field of Psychology and the shifting ground on which move towards it was tot form the later debates ‘colour naming and categorisation’ These essays can be read from both a general and a specialist perspective. They are a fascinating example of the early development of the human sciences, and of the interplay between natural science, social science and ideology. Barbara Saunders (PhD 1992) pursues research on Anthropological Colour Categorisation and Naming, the Kwakwaka’wakw of Vancouver Island, Museums, and Gender.